It’s Wedding Week you guys!!! 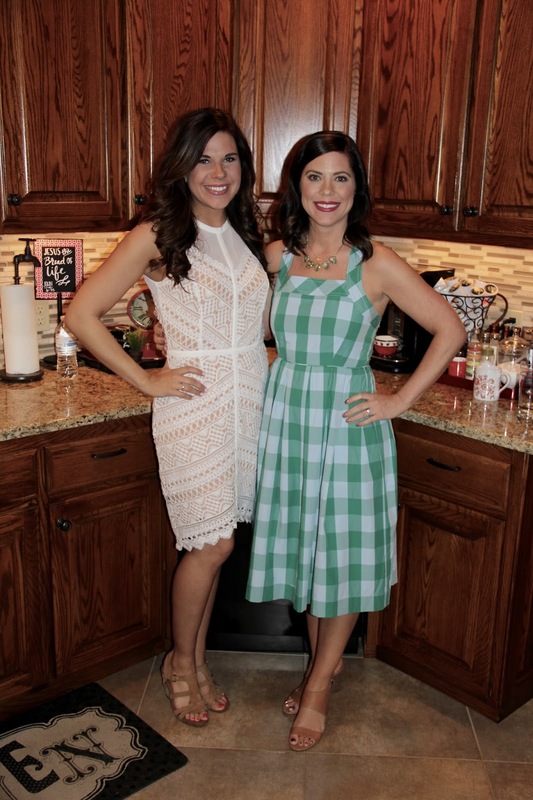 I have 3 awesome posts lined up to celebrate my sisters wedding in Oklahoma last Friday!! 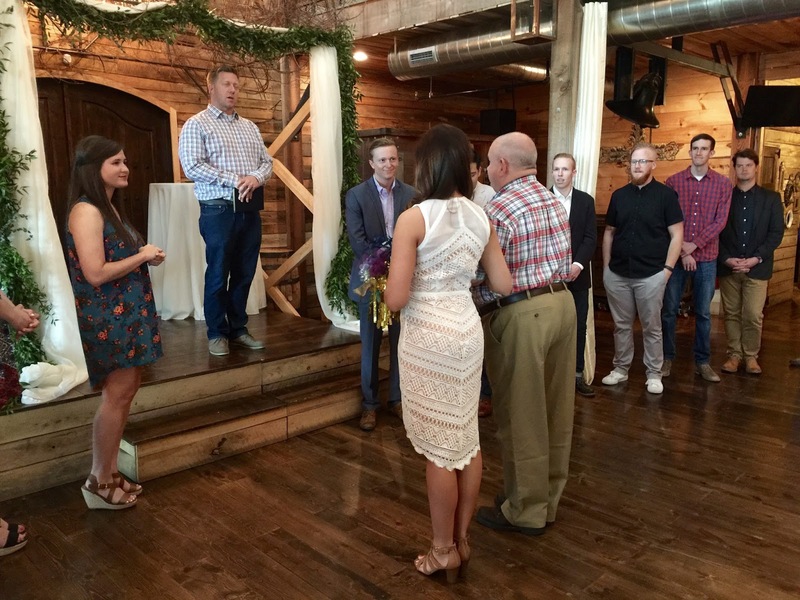 It was a trip home filled with LOVE, family, friends, stress, spray tans and high heels…. I am not sure my feet will ever fully recover! ha! But today is all about the Rehearsal! 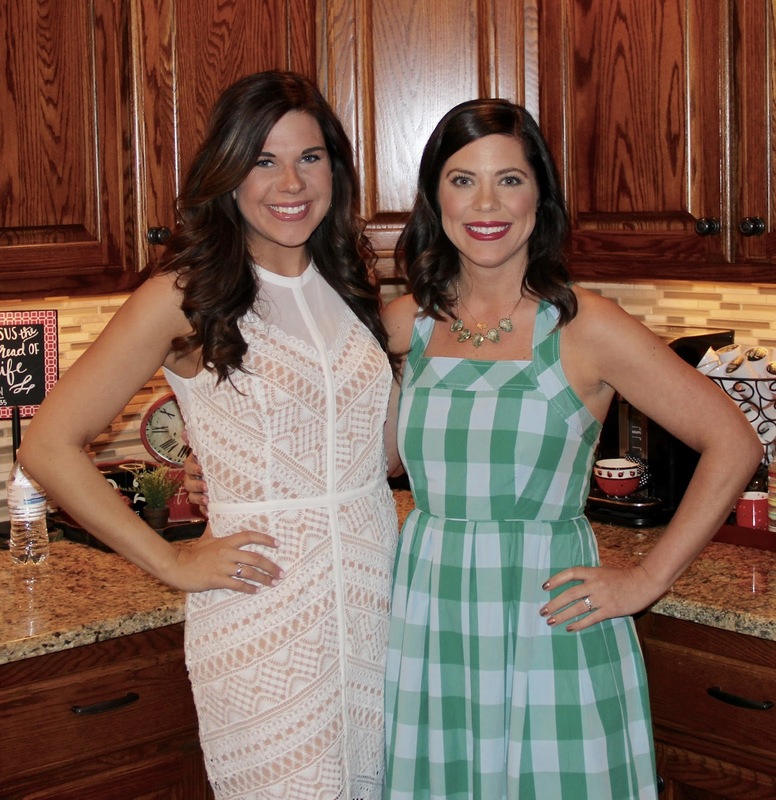 It was nice being able to get ready with the Bride at our parents before heading out…. and yes, she looks stunning in her white! 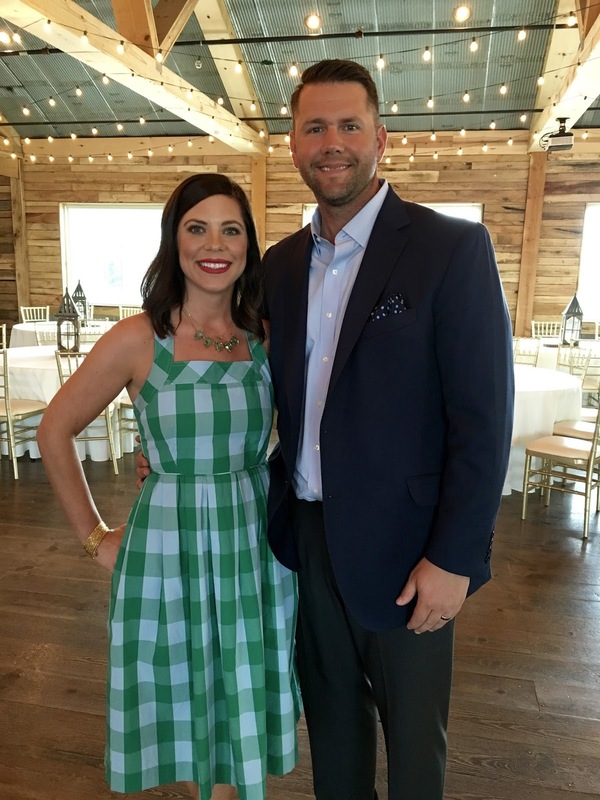 I got a TON of compliments on my dress… Thanks J Crew! And I’m glad everyone loved it because you will be seeing it again! This was our Good Hair pic before we left the house and the Oklahoma humidity destroyed our hard work! My handsome hubby and I rocking our “Wedding Party” duties!! We were the oldies in the group! ha! After the rehearsal Ryan’s parents hosted a beautiful dinner at a nearby country club and we had a wonderful Italian dinner, the grooms favorite! Mother of the Bride, our baby is getting married and it’s hard to believe! 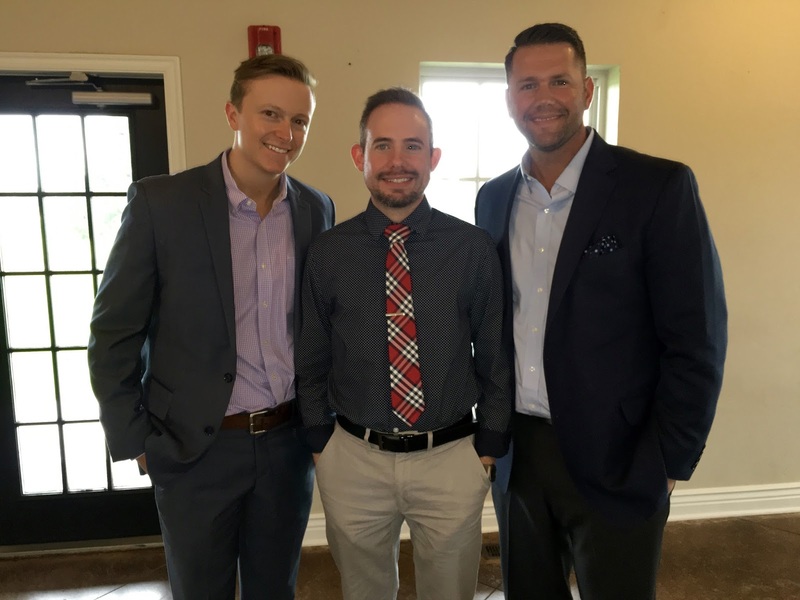 Look at the men in our family…. very Dapper! Welcome Ryan, officially! While I wasn’t a Maid or Matron of honor I knew that if I didn’t get to talk about my baby sister I would regret it! 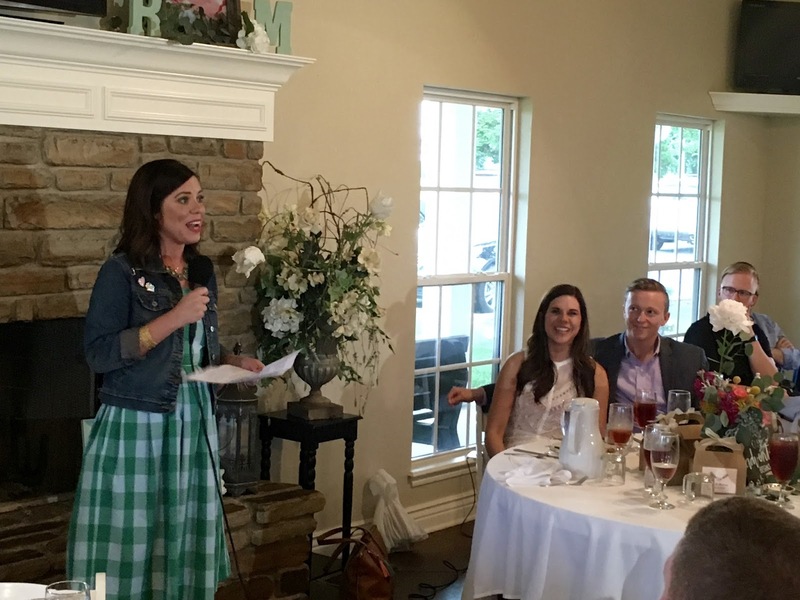 And my speech was full of love, memories, laughs and heart… everyone including the bride and groom loved and it and that made my heart VERY happy! Sisters of the Bride and Groom which makes us family now somehow! How pretty is Jamie? ?